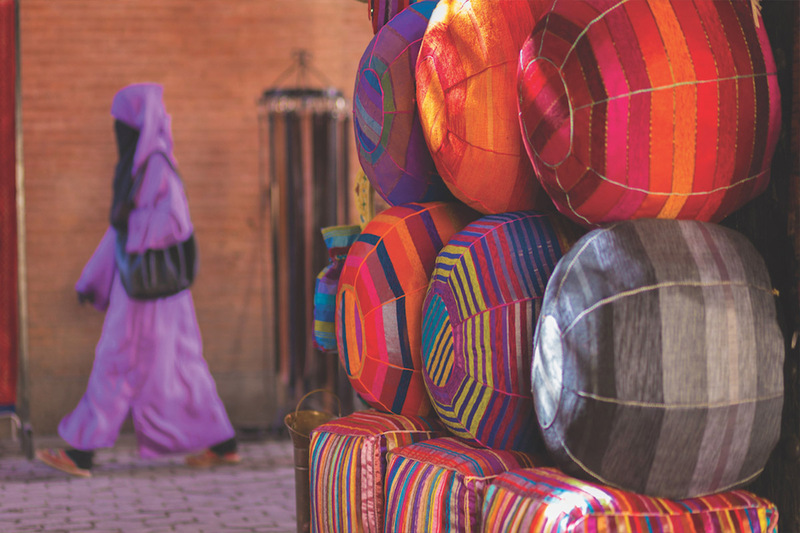 Colourful, cultural, and occasionally chaotic, Morocco is an adventurous destination best experienced on a tailor-made tour with an eye to luxury, organisation, and insight. Morocco is the brash colour of bazaar spices, the lilting call of the muezzin, pink rose-petals against blue tiles, the scent of mint tea. It’s a country of spectacle and colour, a rich and satisfying cuisine, and a millennia-old history of conquerors and nomads. 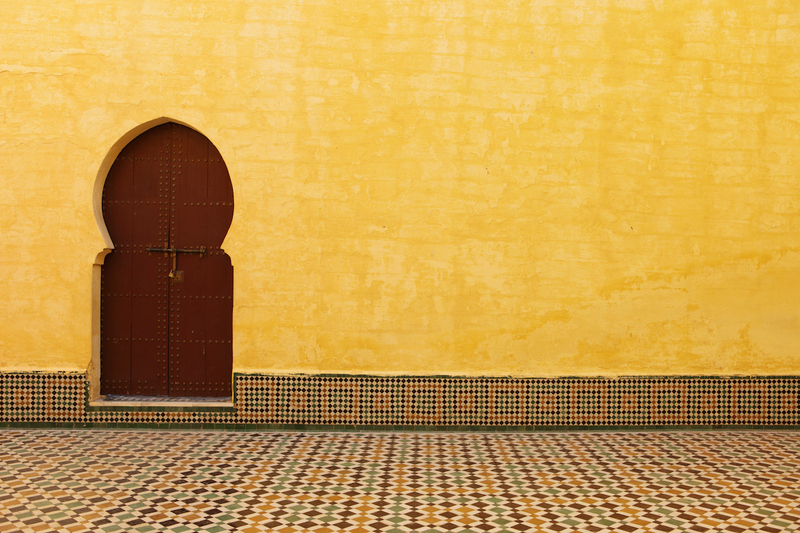 In the last decade, Morocco has also realigned itself as a contemporary, tolerant society that blends Islamic, European, and North African influences. 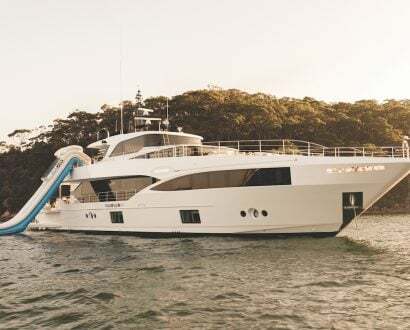 Sun-seekers jet into Marrakesh, and solo travel becomes ever easier. 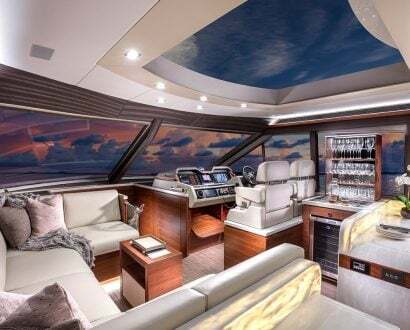 Those wanting to truly experience Morocco, however, should consider a bespoke tour with By Prior Arrangement: it will reduce travel complications and provide insider knowledge unavailable to the aimless wanderer. Rabat is a good place to slide cautiously into Morocco. The capital is its most ordered city, cosmopolitan and glamorous in an old-fashioned way. It’s emerging as a cultural centre, with good museums and a redeveloping riverfront, which includes a stunning Zara Hadid-designed opera house. Most of the city dates from the French-colonial era, and features wide boulevards and open squares shaded by orange trees. 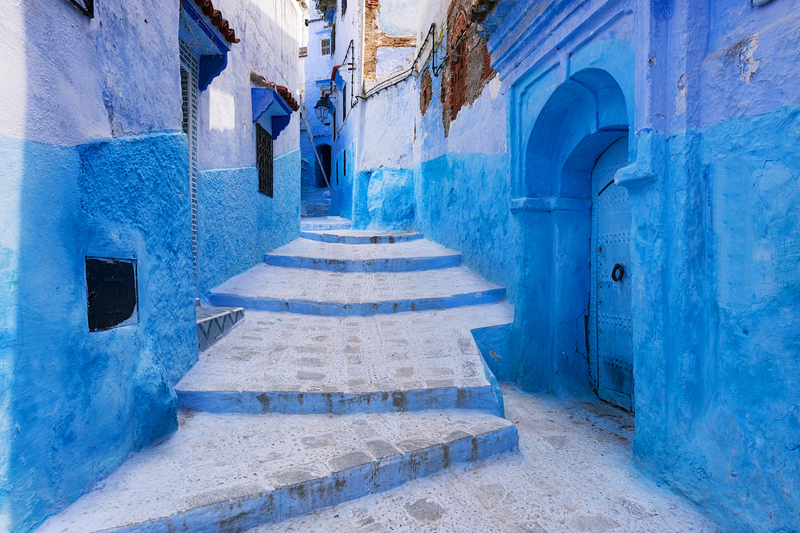 Unexpected layers of history include Roman and medieval ruins where storks nest, and a kasbah (citadel) of blue-and-white alleyways and teahouses overlooking the ocean. From Rabat you might head inland to Meknes, whose fortifications are draped over successive hillsides in concentric rings around crumbling palaces. The old imperial capital has subsided into provincial obscurity and isn’t yet touristy enough to have lost its traditional crafts. Tailors trim in tiny shops and shoemakers fashion yellow or red leather slippers with pointy toes, fit for a vizier. The main market glistens with pyramids of olives and bags of nougat tied with yellow ribbon. It’s only an hour east to Fes, approached along wide boulevards framed in flowers and flags. The world’s largest intact medieval city sprawls splendidly over several hills and is crammed with World Heritage-listed mosques and courtyard houses resplendent in stucco and stained glass. This is the spiritual centre of old Morocco and an ancient trading city for Berbers and Arabs, and the medina (old town) seems scarcely to have changed in centuries. Prepare for butchers selling flyblown camel meat, tailors sewing striped djellabas (robes), and craftsmen tapping at copper pots and dyeing leather. Ever-narrowing alleys provide constant charms: medieval archways, tottering buildings, tiled fountains. A big surprise in Morocco is the beauty of its landscapes, which vary from high mountains to wave-pounded coastlines, lush green northern farmland, to scalloped southern sand dunes. The road beyond Fes brings you over undulating hills bursting with springtime wildflowers to Volubilis, a ruined second-century Roman town notable for gorgeous mosaic floors. 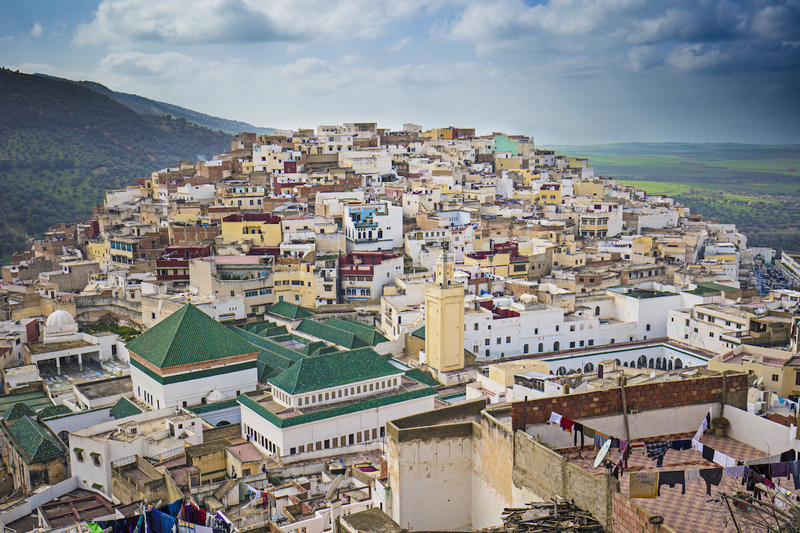 Down the road is Moulay Idriss, a town of cubist houses wedged into a steep mountain gap. The town of Moulay Idriss. 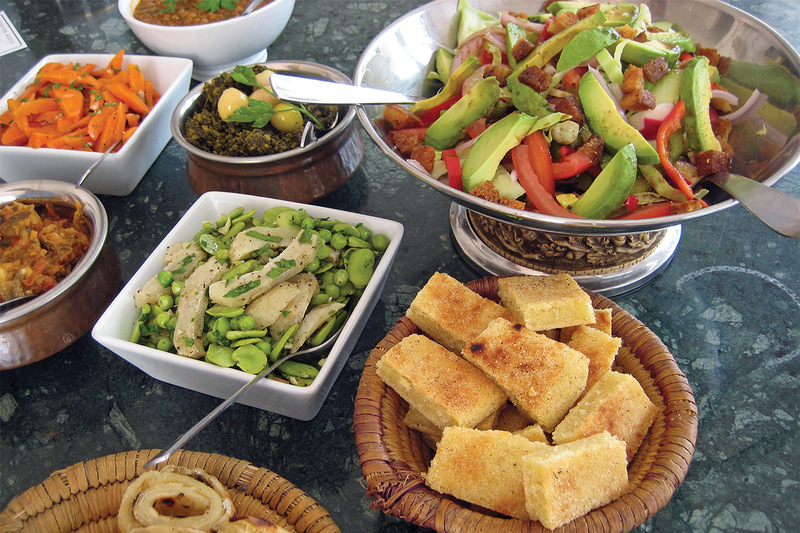 A bespoke tour might give you access to Scorpion House, run by Englishman Mike Richardson, where you can sit on the terrace and tuck into a lunch of charcoal chicken, maakouda (potato fritters), and spiced beef kebabs as you learn about expat life and the tribulations of house renovations. There isn’t much to bring tourists to Casablanca, other than its exotic name. 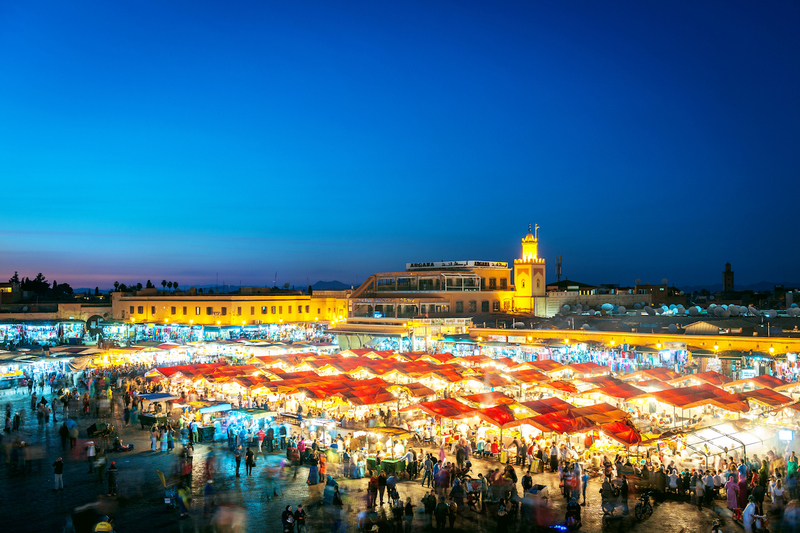 Yet there’s an exhilarating buzz to this city, economically Morocco’s most important. Nightclubs and seafood restaurants line the coast, and grand Art Deco-era squares contrast with older, Andalusian-style alleys. Hassan II Mosque, one of the world’s largest mosques, is an eruption of marble topped by a whopping 210-metre minaret; in the evening, it resembles an illuminated space rocket. Lunch at Scorpion House in Moulay Idriss. As you head south and inland, the landscape becomes a reddish, treeless plain ringed by purple hills. 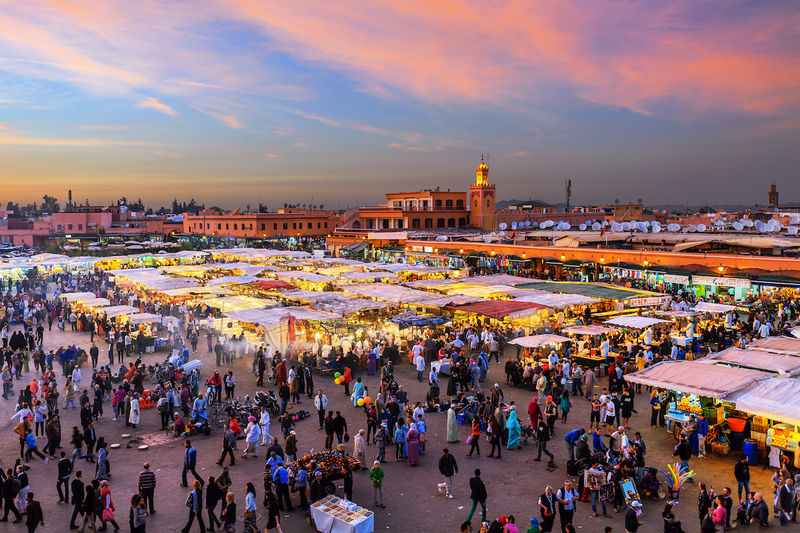 Then Marrakesh appears, a pink city of medieval ramparts against a snowy barrier of Atlas Mountains. 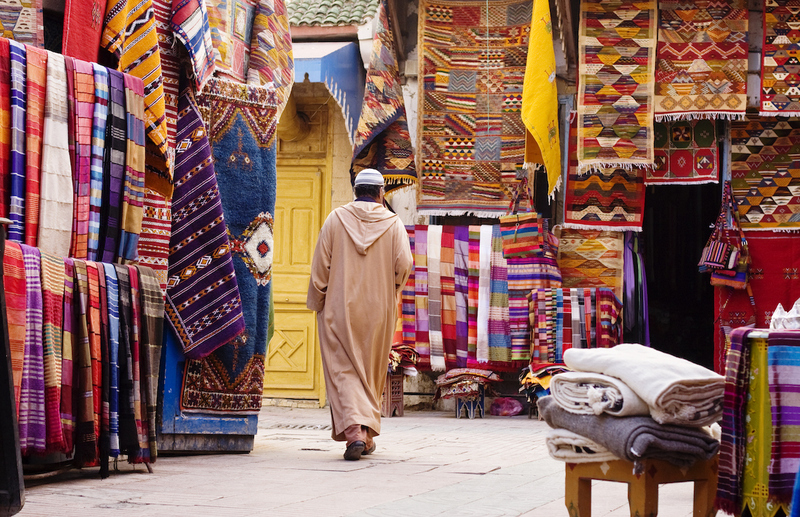 Behind its walls is a fabulous medina in whose winding, high-walled alleys you’ll easily get lost. Never mind: you might come across a crumbling palace, magnificent tiled mosques, and stuccowork tombs with ceilings of gold. 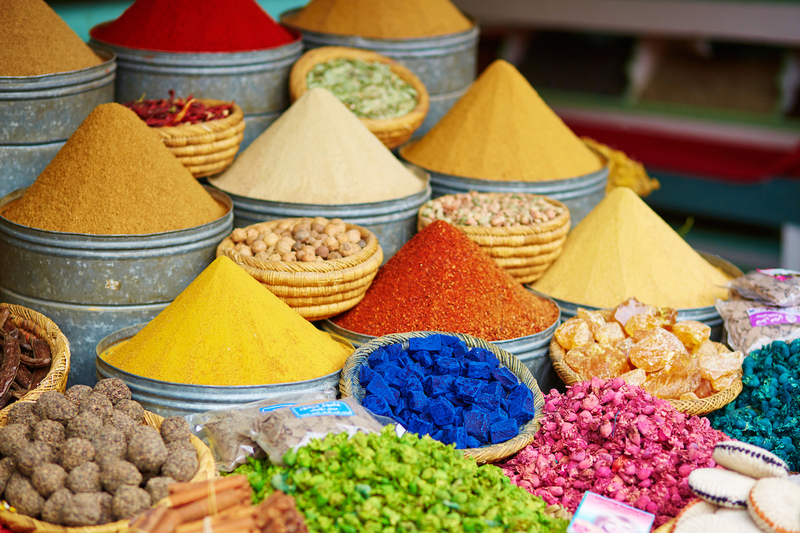 The classic Moroccan dish tagine is named for the conical-lidded, earthenware pot in which sweet-and-sour and spiced stews of meat, poultry, or fish are slow-cooked with almonds, vegetables, and fruit such as apricots or pears. There are shops where craftsmen work in cedar wood, bakeries straight out of Ali Baba, café tables at which to sip mint tea and stickybeak at the ceaseless bustle. As sun sets, hit legendary Jemaa el-Fna square. Monkeys juggle, fortune-tellers mutter, street performers drum. Locals come out to munch on snails, slow-roasted lamb, or bags of dried nuts. Beyond the medina’s timeless hustle, however, is another Marrakesh of spas and luxe courtyard hotels, chic nightclubs, and innovative restaurants. You’ll also find Jardin Majorelle, created by Yves St Laurent, who holidayed here in a blue villa surrounded by cactus and extravagant bougainvillea. If you’re keen on shopping that goes beyond the camel bags and wood carvings of the bazaar, take a private shopping tour to the suburban studios and workshops of forward-looking Moroccan and expat French designers in suburban Sidi Ghanem: another great insider look at the many facets of this intriguing country. Brian Johnston Born in Nigeria to Irish parents, Brian was destined to become a travel writer. 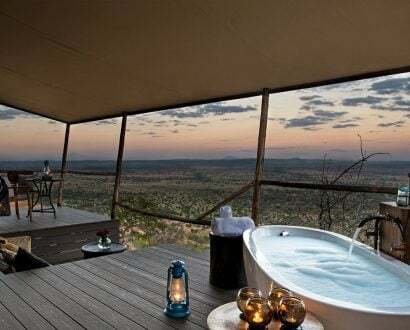 He is a two-time winner of the prestigious Australian Travel Writer of the Year, and the author of three travelogues.